What are the Steam Room Benefits? The benefits of the steam room have been known for thousands of years and throughout history countless people have been using steam to enhance their sense of well being and improve their overall health. At the end of the 20th century and the beginning of the 21st a huge influx in health conscious individuals in western society has fuelled a vast growth in the health industry. When used with aromatherapy essential oils, the benefits of steam are further enhanced, where the body benefits from both mental and physical treatment. In the past, steam rooms have been restricted to health clubs and gyms, and many think steam rooms are only used at home by the wealthy; however top steam room specialists have made this wonderful past time available to everybody, not just the rich. With cutting edge technology at affordable prices, countless people are now enjoying all the wonderful benefits of a steam room. The average body has approximately 2.6 million sweat glands. The body only has four ways to excrete toxins; urine, feces, respiration and perspiration. During a steam room session the body can sweat out up to 30% of its toxins that have built up. Studies have shown that environmental chemicals and poor diet cause 95% of cancers, which in today's society makes a steam room a very healthy and practical addition to the home. Heat from the steam causes the heart to beat faster and harder in an attempt to cool the body, causing blood to flood even the smallest capillaries. Increased blood flow to these tiny capillaries (just under the skins surface) causes the skin to glow and look healthy because the blood cells carry minerals, vitamins and oxygen: vital for a healthy body. In addition, this increases the rate of body metabolism. For a full steam experience, use aromatherapy oils, which can help to rejuvinate the body and mind. Hyperthermia refers to an elevation of core body temperature to above 37.2°C for therapeutic purposes. During a steam room session the body temperature rises and when the body temperature rises it is called a fever (elevation of body temperature above the normal level). A virus can only usually survive within a narrow temperature range. Therefore an increase in body temperature may either stunt the virus' multiplication or kill the virus. Fever triggers the body to release white blood cells, antibodies and a protein called interferon. The white blood cells, which are produced in the bone marrow, help to defend the body against infectious diseases and foreign materials. Antibodies are proteins which help protect against disease-causing micro-organisms whilst interferon is any group of proteins produced by cells in the body in response to an attack by a virus. Steam inhalation supports mucosal secretions in the respiratory system and helps to open up the airways therefore reducing respiration resistance. This helps to relieve the discomfort of asthma and allergies. Steam room benefits also include relieving inflammation and congestion of upper respiratory mucous membranes. It also helps to loosen secretions, stimulate the discharge of mucous from the throat and lungs (natural expectorant) and keeps mucous membranes from excessive drying. Heat from the steam causes the muscles to relax, widening the blood vessels, allowing more oxygen to flow to them, releasing their tension. The heat also gives relief to sufferers of arthritis. 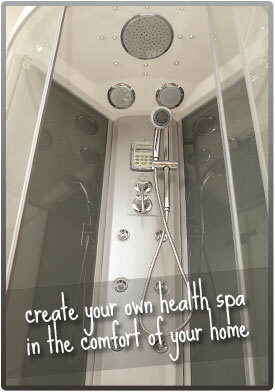 The heat from the steam causes the whole body to relax; this experience melts away stress and soothes the mind & body. David Timothy is a successful writer in the subjects of home improvement and bathroom renovation providing the consumer information on Steam Shower rooms and Sauna units. 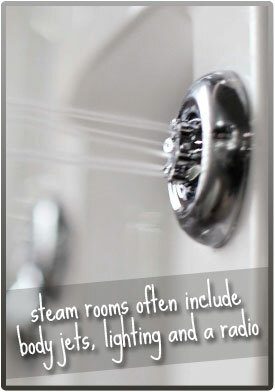 To view more articles visit: Steam Room Benefits. He also writes articles for Di Vapor Steam Showers. Note: Di Vapor is not responsible for the views, opinions or advice represented in the articles on this site. You are advised to seek medical advice before following any such information. Copyright © 2006-2019 Di Vapor.